Marty O’Farrell started his diving career in 1980 in Seattle Washington in the chilly waters of Puget Sound. He dove on and off over the years there until 1992 when he started traveling to the Caribbean which had always been a dream since childhood. After visiting and diving various places throughout the Caribbean, he and his wife Carrie settled on the then sleepy little diving/fishing village of San Pedro, Ambergris Caye Belize in 1996. It is there he picked up his first underwater video camera and started shooting tourist 5-6 days a week for the next 8 years. 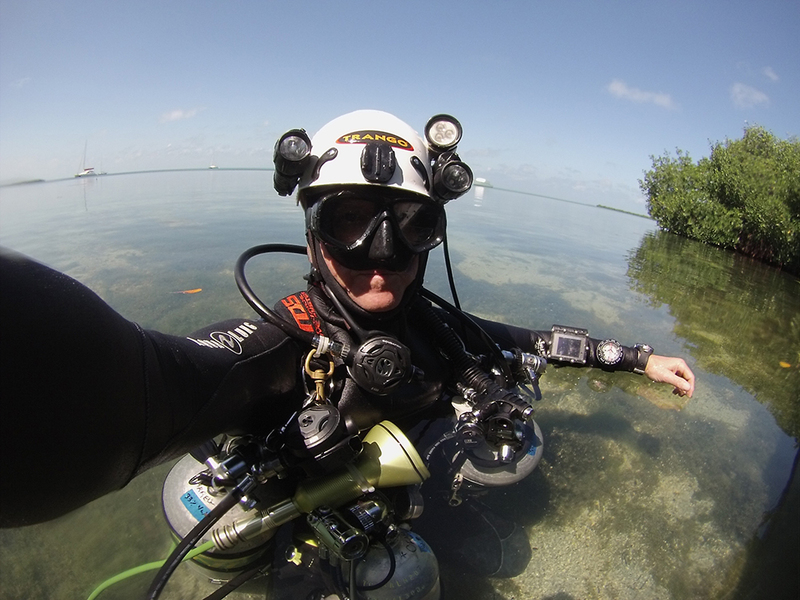 With no formal training in videography, he decided to take a class in 2004, which brought him to Puerto Aventuras, Mexico where he was first introduced to the underwater cavern zones there, which is where most the week long class taught by Len Bucko took place. Very curious about what was around the “next corner” in the caverns but no training to allow him to find out. He quickly returned and was first cave certified by Steve Bogaerts in 2005. Filming being his first love he returned frequently to Quintana Roo Mexico,to shoot Steve and the caves. 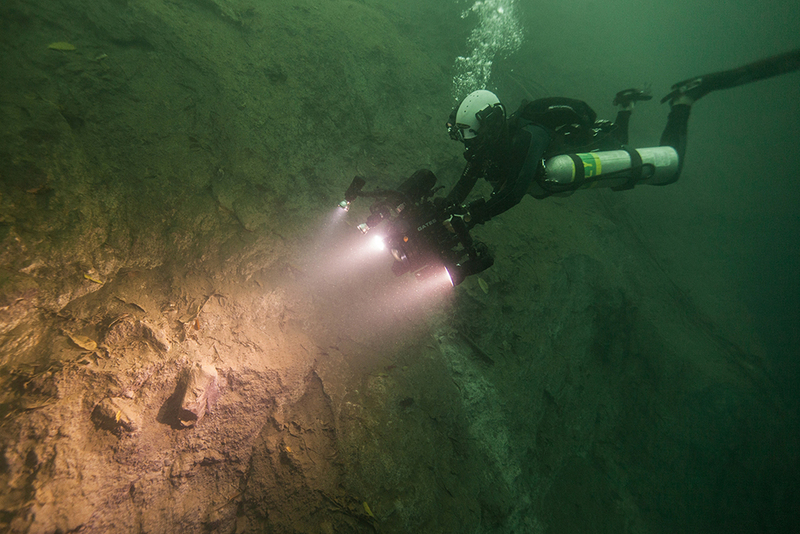 Which led to his love of underwater exploration. He has explored extensively in the underwater marine caves in Belize including of course Giant Cave, Winter Wonderland, lesser known, but equally challenging Baraccuda Cave along with many others. Also joining numerous expeditions to explore and shoot the inland underwater caves of Western Belize. 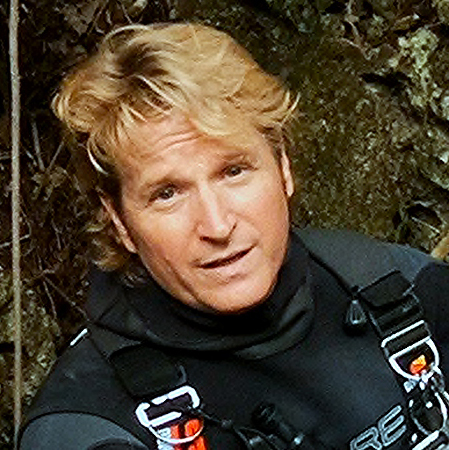 He moved with his wife and son to Puerto Aventuras, Mexico in 2015 and continues to shoot and explore the extensive cave systems in that area.